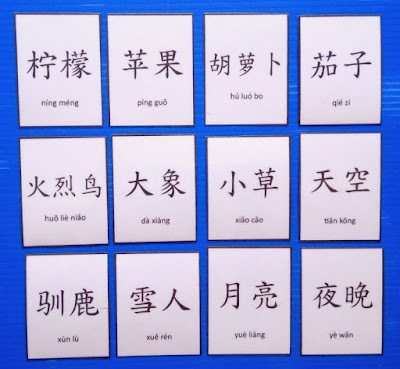 In my last post I wrote about the literature-based approach and how I used this approach to teach David Chinese. 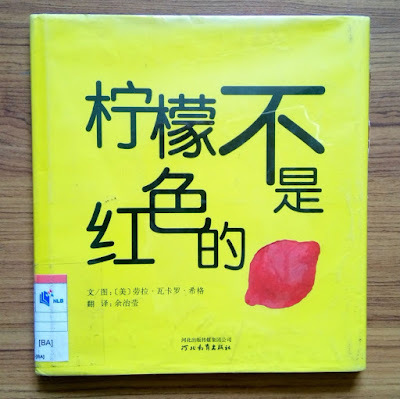 In this post I would like to share a literature-based unit study based on the book 《柠檬不是红色的》. 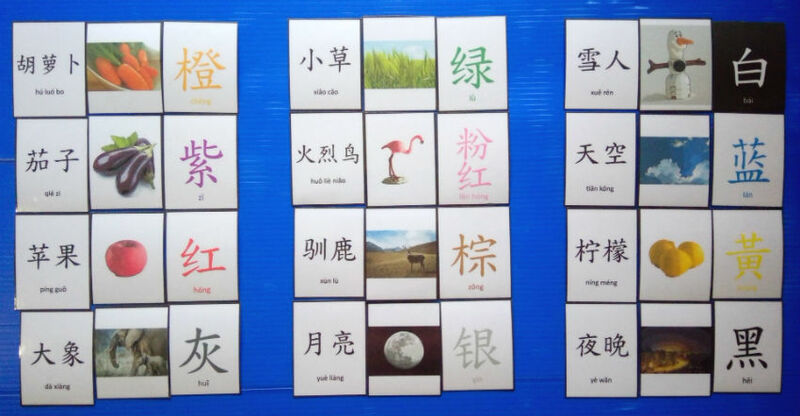 I am very happy to collaborate with Po Tim, a homeschooling mom from Hong Kong, to produce this learning package to support learning of the Chinese language. Here's a little about Po Tim. 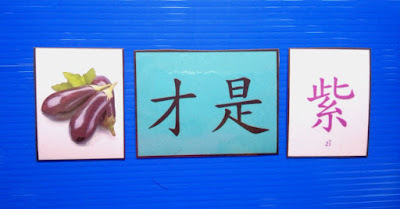 We got to know each other through a US-based homeschooling Facebook group and connected with each other as we were both teaching our children English and Chinese. Po Tim and her Japanese-American husband have three lovely young children. She blogs at fortunecookiemom.com. You can read more about her here. 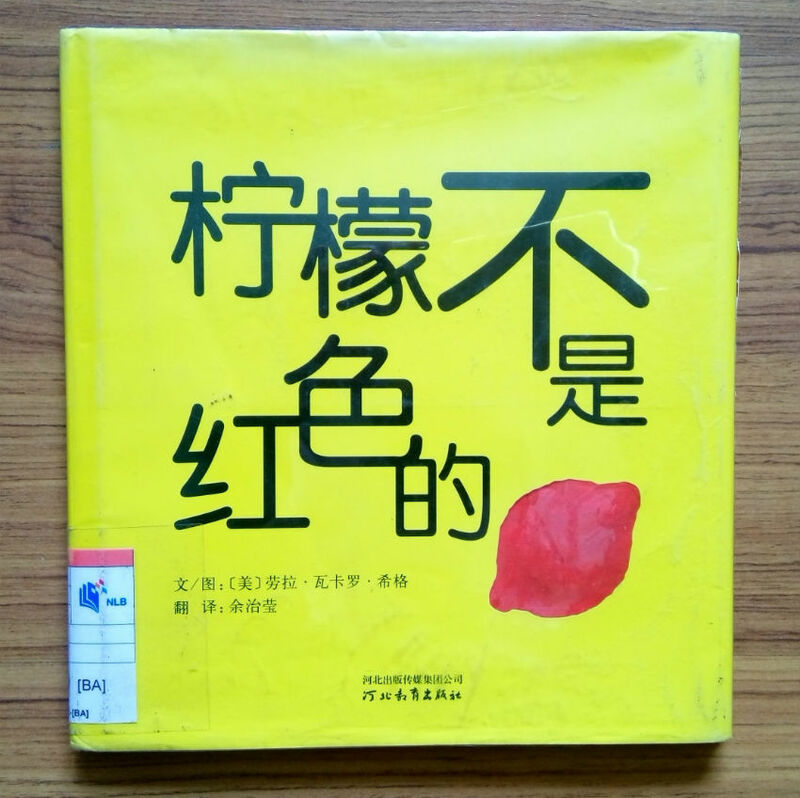 The book 《柠檬不是红色的》is translated from the English original "Lemons Are Not Red", written by Laura Vaccaro Seeger. It is an excellent book that introduces colour concepts with a twist, unlike many traditional colour concept books. Through the clever use of die-cuts, the book stirs the natural curiosity and imagination of children by first presenting objects in "odd" or "wrong" colours, such as red lemon, purple carrot, grey flamingo and blue grass. 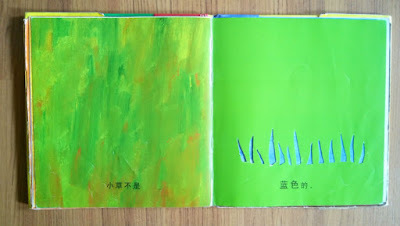 With a turn of the page, things are made right when objects are represented in their proper colours. 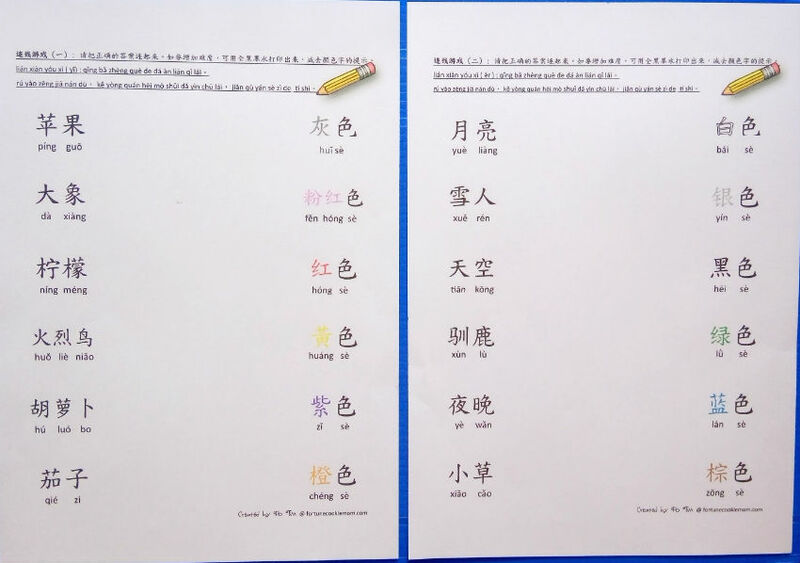 The Chinese version is especially suitable for exposing children to the use of “是”， “不是” and “才是” to make affirmative and negative sentences. Through the reading of this book, children will be exposed to twelve different colours and twelve objects that are all nature-related. The repetitive sentence structure, attractive illustrations and element of fun and surprise all help to make the reading of this book a very enjoyable process for young children. Be prepared to have to read this book to your child more than once. Soon you may even find your child memorising the contents of the book due to its repetitive sentence structure and unique and interesting representation. Needless to say, this is a perfect book to be used for a literature-based unit study. There are game cards included in the downloadable package that you can laminate and cut out for use. 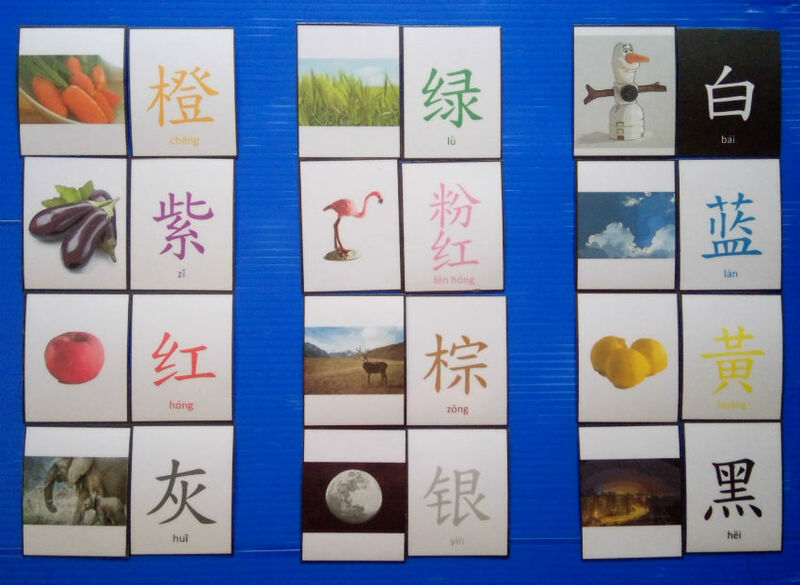 There are 12 colour cards, 12 picture cards and 12 word cards. 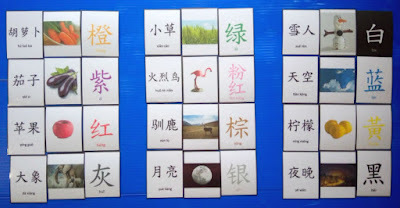 Children can play a card matching game with these cards. 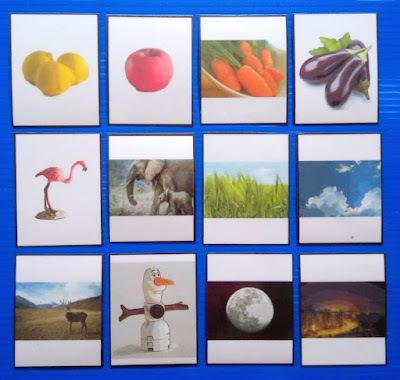 They can match the picture cards to the colour cards, or for a more challenging exercise, match all three sets of cards together. 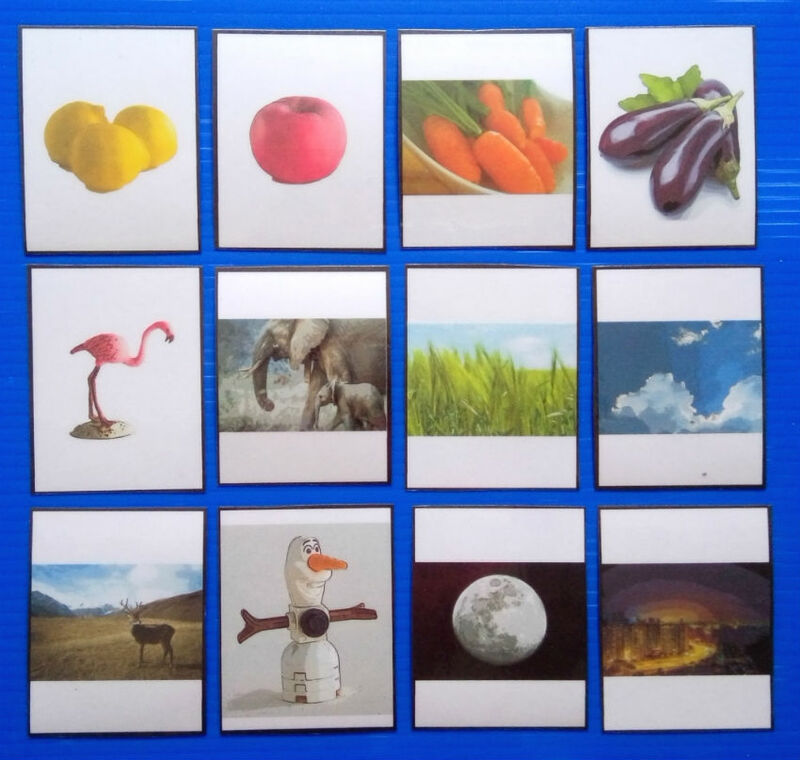 Players can play a memory game with these cards. 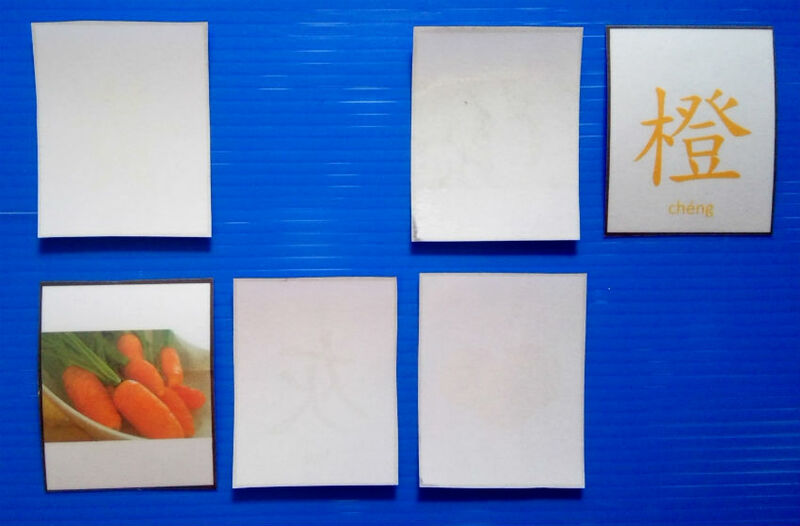 Shuffle the colour and picture cards together and arrange them face-down on the table. All players take turns to flip over two cards. If they are a match, the player gets to keep the cards. If not, the cards are turned back over and the next player gets a turn. The player with the most cards wins! I suggest starting with a smaller number of cards to help children learn how to play the game and also build their confidence. 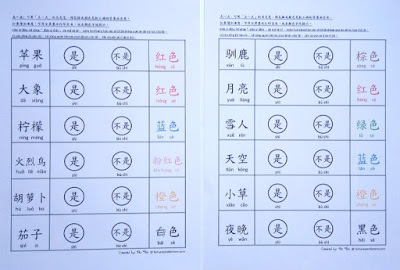 As they gain proficiency the number of cards can be gradually increased. 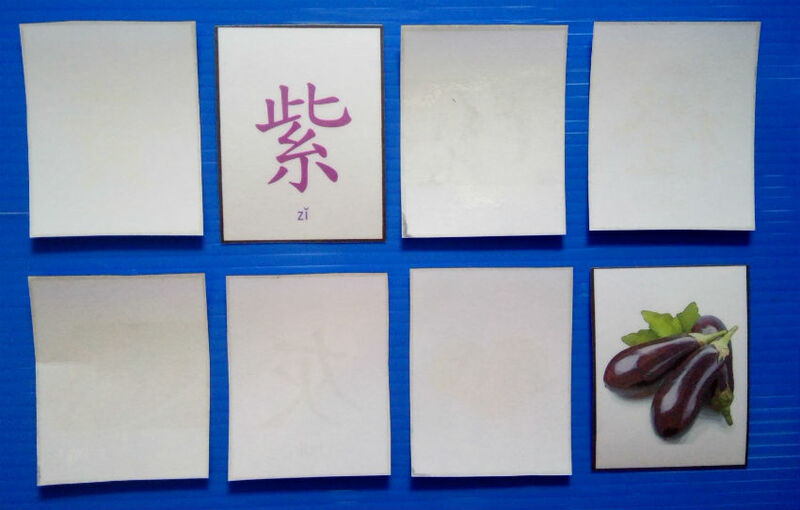 You will need the “是”， “不是” and “才是” verb cards for this activity, in addition to the colour, word and picture cards. 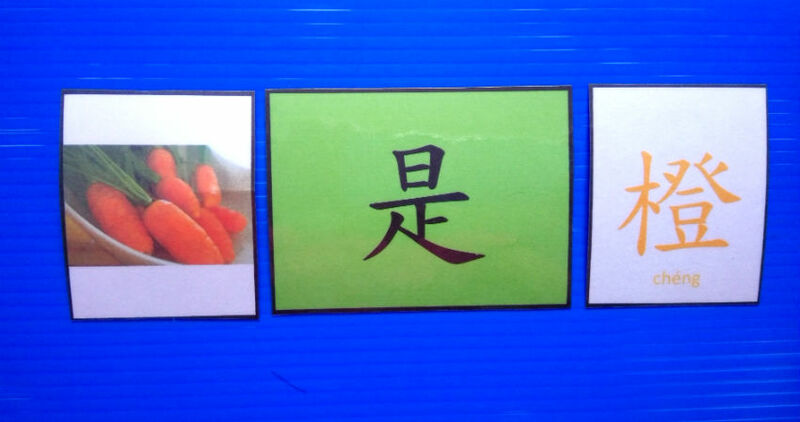 Separate and stack the picture and colour cards into two piles, leaving a space in the centre. 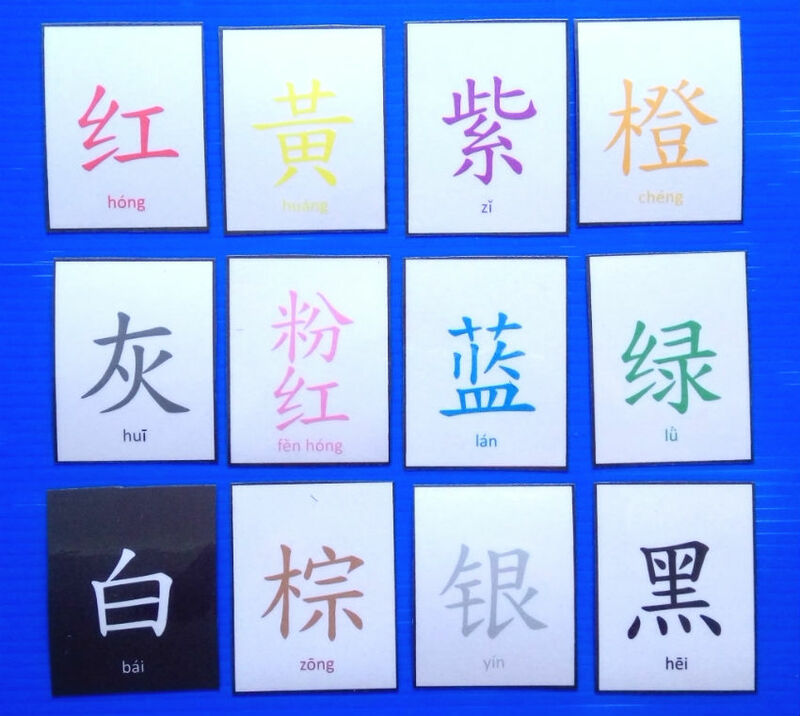 Place the “不是”, “是” and “才是” verb cards between the picture and colour cards. 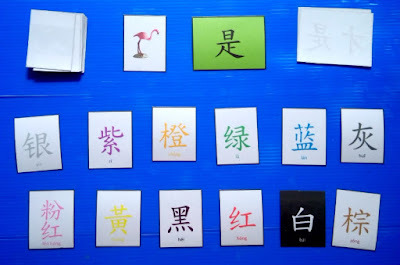 Players take turns to form sentences from the story by selecting appropriate cards from each pile. Challenge: For children who have read the book multiple times, invite them to "narrate" the story from memory by arranging the available cards to retell the story. 4. 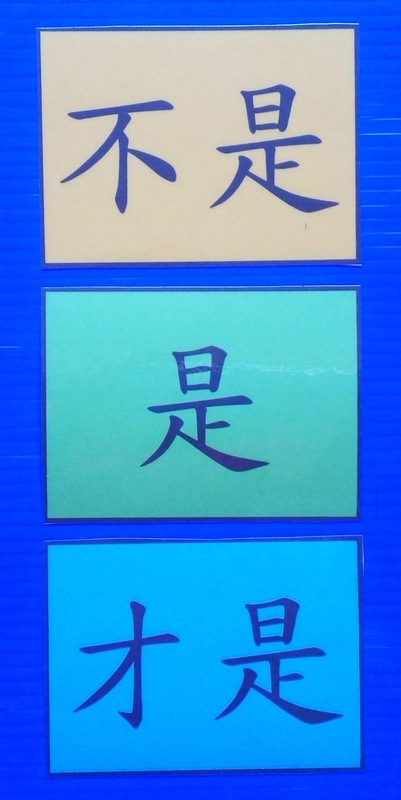 眼明手快 Who's the Fastest? 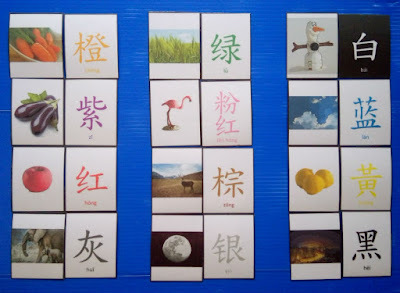 Arrange the picture cards and the “是”， “不是” and “才是” verb cards into two separate piles facing down. Spread out the colour cards, facing up. 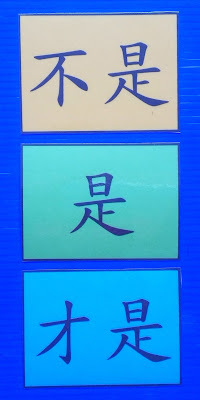 The dealer draws a card from each of the two piles, and at the count of three reveals them. The other players race to find a colour card to complete the sentence. Accept all possible answers. 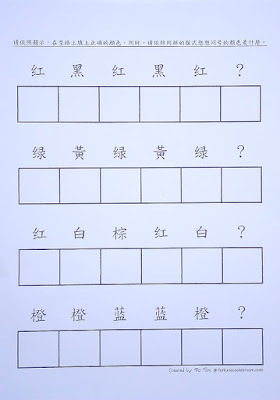 Draw lines to match the correct answers. For a more challenging exercise, print in greyscale instead of colour. 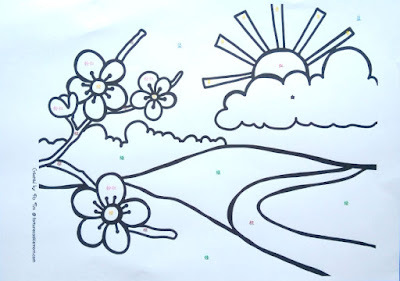 Use do-a-dot markers to mark out the correct answers. 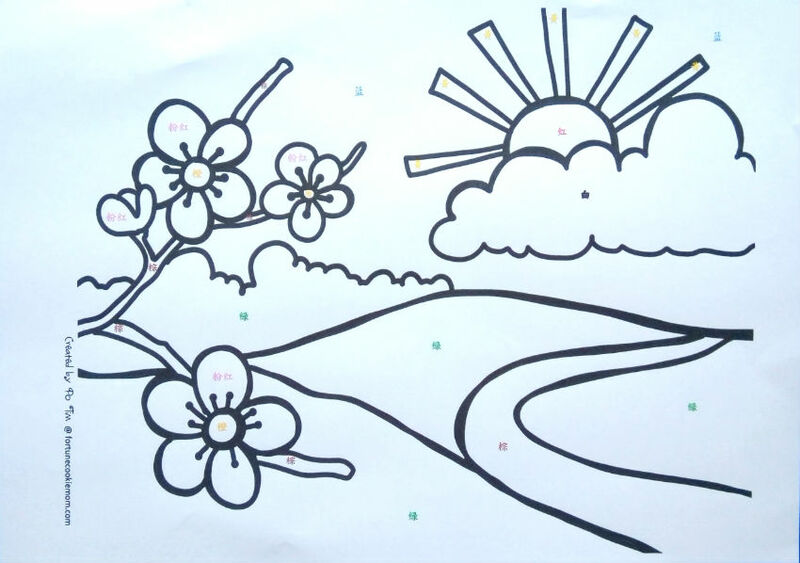 If do-a-dot markers are not available, try using cotton buds or crayons to colour. For a more challenging exercise, print in greyscale instead of colour. 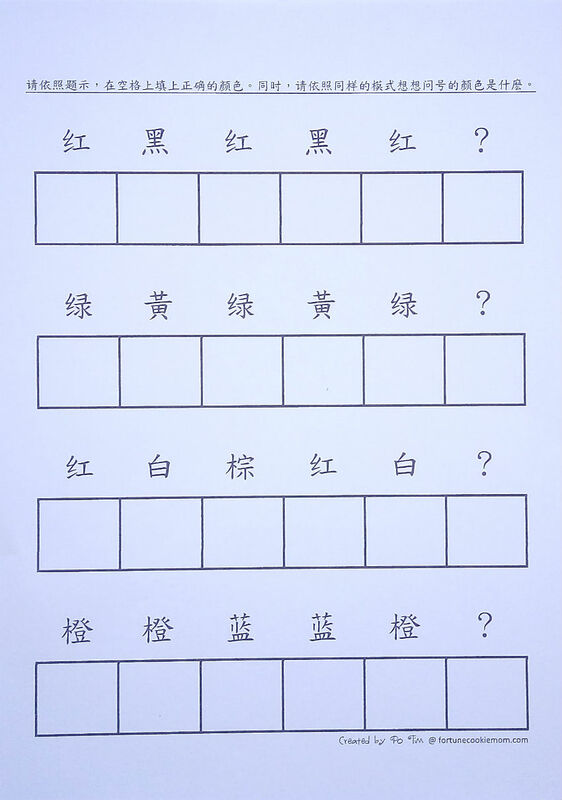 Cut out the pictures at the bottom of the page and paste them in the correct box. Colour each square according to the colour indicated above it. Complete the pattern by colouring the last square with the correct colour. Colour the picture by using the colours indicated on various parts of the picture. As you can see, the activities in this literature-based unit study are designed to be hands-on, meaningful and enjoyable. 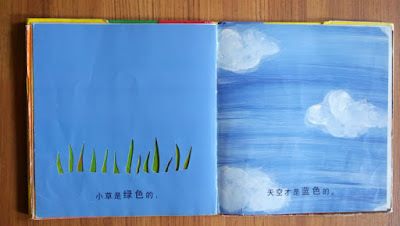 They help children make connections to the book and in the process, reinforce concepts they have learnt. 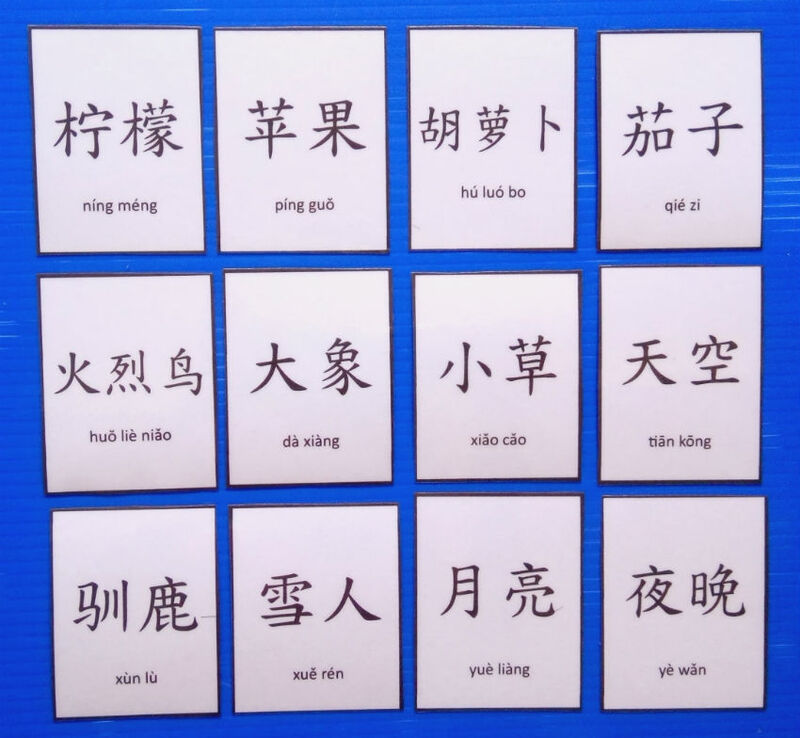 Older children who are learning to recognise words also has many meaningful and enjoyable activities (through games and worksheets) to guide them in the process. 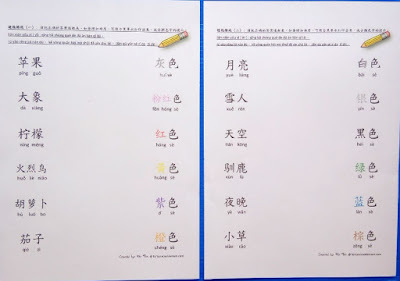 My friend, Po Tim, has also written an article on this literature-based unit study in her blog. 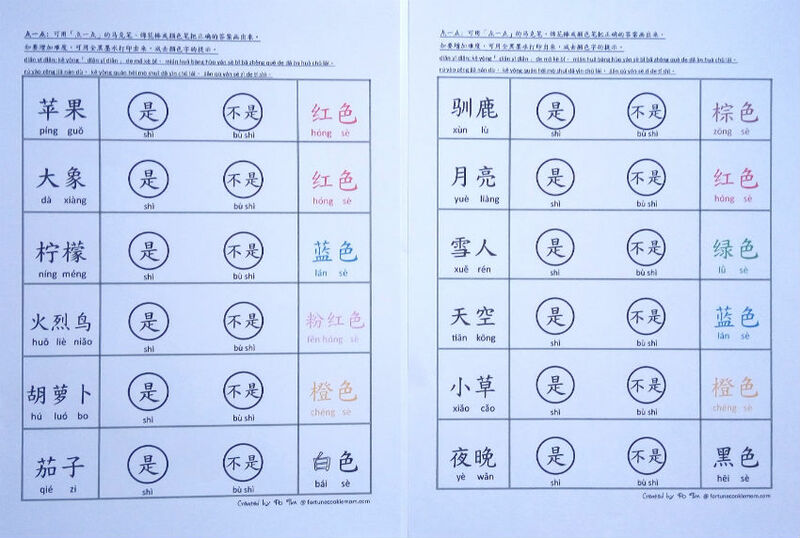 To download the free unit study based on the book 《柠檬不是红色的》, click on the following link that leads to her blog post. The link to the downloads can be found in the article. 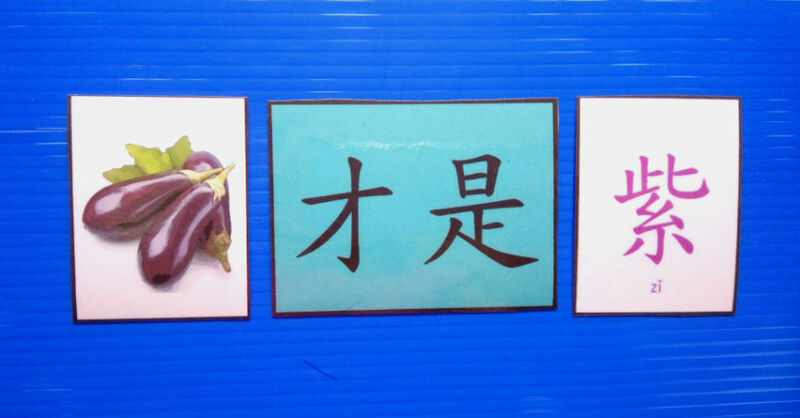 We hope you enjoy the activities in this unit study. Have fun with your children and do give us your feedback! You can leave comments in our blog posts or post your comments on our Facebook pages.